Very simply put, work ethics is a system of moral principles. The term is derived from the Greek word ‘ethos’ which indicates custom, habit, character, or disposition. 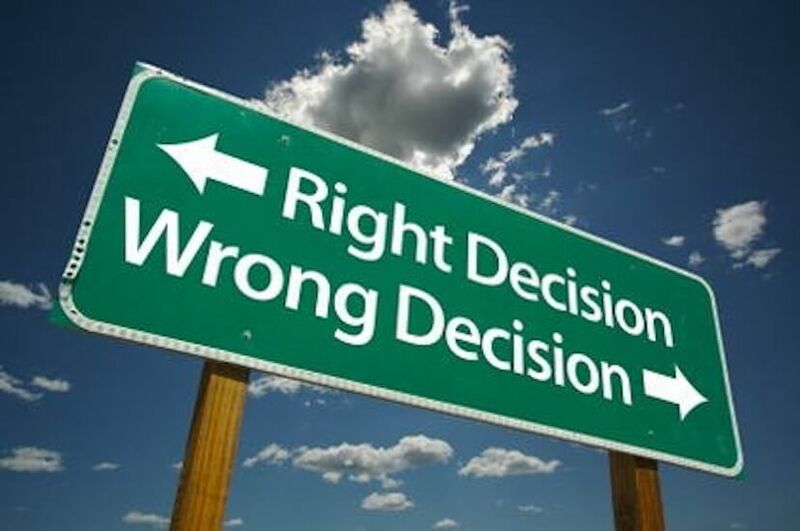 Ethics indicates various types of moral decisions such as living an ethical life, using the right and wrong language, distinguishing between good and bad and so on. However, the concept of ethics is a debatable topic concerning human rights, professional behaviour, and human rights. In a business context, an ethical code entails a set of defined principles which dictate an organisation’s activities and decisions and the organisation’s philosophy which impacts its reputation, productivity, and its bottom line. Ethical behaviour amongst the employees of an organisation ensures that work is accomplished with honesty and integrity and everyone adheres to policies and rules while meeting the organisational goals. A work environment that is ethical ensures a positive and healthy work culture. Individuals who possess good work ethic are a productive lot who work in a fast paced manner. They can accomplish more work in a shorter span of time compared to their counterparts who lack work ethic. Such individuals are certainly an asset to the managers and the company at large. In a business context, cooperative work has a lot of significance and individuals with great work ethic understand this quite well. They understand the significance and utility of cooperation which they incorporate in their team work. Such individuals are quite flexible, and they have the ability to gel and work with anyone in a polite and productive manner, irrespective if the other individual is ethically inclined or not. When everyone in the organisation adheres to the code of ethics in an organisation, it automatically stimulates an ethical work culture. Business leaders should always lead by example by exhibiting the behaviour that they wish to see in return from their employees. Organisations need to reinforce ethical conduct by encouraging employees who display integrity and values with appropriate reward and recognition. Positive work ethics help to boost the morale of business and also increases productivity and retention level of employees. This promotes cost cutting and eventually benefits the organisation financially with improved productivity and cost effectiveness. What Should Basic Work Ethics for an Organisation Include? Having uniform rules and regulations: An ethical organisation needs to treat all its employees with equal respect, irrespective of race, caste, creed, culture, or lifestyle and providing equal opportunities for growth and promotion. Hence, managers need to refrain from favouring one employee over another, as it may lead to lawsuits. Communicating the rules and regulations to everyone: An ethical organisation needs to ensure that the company policies are clearly communicated to every employee with absolute transparency. Respecting Employees: An organisation with ethics needs to respect its employees and be reciprocated in the same manner. It should not have rigid rules and regulations for its employees and should be compassionate towards the employees. Avoiding Micromanagement: An organisation should establish the key roles and responsibilities right at the time of on boarding. It should refrain from micromanaging its staff. If required, the employees should be inducted into training at the time of joining the organisation. Ensuring proper remuneration and promotion policy: An organisation needs to ensure that it has a clear cut salary and promotion policy so that no one risks underpayment. One of the major factors leading to attrition is poor appraisal and promotion prospects. Having a uniform holiday schedule: An ethical organisation prepares its holiday calendar with the help of its HR team right at the beginning of the year and shares it across the organisation. Treating employees appropriately and equally: An organisation with good work ethics ensures that it treats all its employees appropriately and equally with transparency. Core Ethics of an Organisation? An organisation should have a written code of ethics and standards for its employees to follow. It should have ethics training in place for its managers, executives, and employees. It should have advice lines which can offer ethical situational advice to the employees. It should have a confidential reporting system in place. Having a positive work ethics is crucial for every organisation. To develop a strong work ethics, every employee needs to take the responsibility for their own actions. Let’s take a look at some of the means by which you can inculcate strong work ethics. Be Professional: While at work ensure that you are positive and cordial with everyone and stay away from gossip. Communicate in a constructive and positive manner and respect the feelings of others. Practice honesty, integrity, consistency, and fairness in whatever you do. Be reliable and honest: Ensure you hold your integrity intact even when no one is watching you. Try to perform consistently and be conscientious. Deliver your best output: Whenever entrusted with work assignments, you must strive towards exceeding expectations and be attentive towards details. Make your work your foremost priority. Work in an organised manner and have proper backup in place so that you can retrieve them easily when required. Be aware of your strengths and weaknesses: Identify your weaknesses and formulate a plan to improve on these areas. Be honest with yourself while identifying your weaknesses. Figure out distractions and try to minimise them. Focus on your strengths and manage your weaknesses effectively. Create timelines for yourself: One of the important aspects of character building is being able to accomplish your tasks and finishing them on time. Avoid wasting time by doing insignificant tasks. Keep a check and continually evaluate which things need to be done first. Create your own timeline for accomplishing tasks. Prioritise your tasks: Prioritise your tasks well and accomplish them accordingly. Avoid procrastination: Avoid procrastinating tasks. Procrastination emerges out of poor time management, laziness, and lack of discipline. Refrain from gossip: Keep your idle, unproductive, and negative thoughts at bay. Associate yourself with hard working and ambitious people and pick up the positive traits from them and avoid gossip of any kind. Maintain a healthy balance and deliver consistently: Make time for playing and sleeping well when you earn it after accomplishing a task. Eat nutritiously and make some time for relaxation and recharge your batteries while keeping your priorities in focus. Develop good working habits: Inculcate punctuality, orderliness, speed, neatness, flexibility, and work in a smart and disciplined manner. Honesty: Honesty is one of the core elements of work ethics. You must be honest both regarding your failures as well as successes. You must take credit only where you deserve it. Refrain from picking up other people’s ideas and work and take responsibility for your failures. Integrity: Maintain your integrity and be consistent in your thoughts, behaviour, and action. Respect for others: Try to be graceful under pressure and remain calm and poised. Try your best to respect the opinion of others even in stressful situations. Legality: You must remain within the legal limits at all times. Refrain from twisting or breaking the law. Fairness: Practice fairness and treat your colleagues as equals. Refrain from favouritism. Alertness: Stay alert of what is taking place around and be watchful of things and people. Openness: Maintain openness by sharing your ideas, resources, and results with your colleagues so that everyone has an idea of what you are up to. You can be counterproductive by maintaining too much secrecy. Competence: Stay competent by improvising your performance and learning continuously and incorporating the new learning into your work. Professionalism: Be professional in your conduct. In the business context, professionalism has a much wider connotation right from how one dresses and presents oneself to treating others with respect. Accountability: Always be accountable for your actions and outcomes in every situation. Avoid coming up with excuses if a certain task at hand does not go as planned. Admit your mistakes and learn from them. Confidentiality: Maintain confidentiality at all times. Refrain from discussing or sharing confidential information or documents with people who are not authorised to have access to them. Responsibility: Be responsible for your thoughts, behaviour, actions, and work. Reliability and dependability: Be reliable and dependable at work needs you to be punctual, delivering assignments, and meeting timelines. Stay firm on your word and honour your commitments and promises. Determination: You must take challenges in a positive manner and tackle problems with resilience and firm determination. Dedication: You must practice perseverance and continue till the task at hand is accomplished well. If required, you must be ready to put in extra hours to get a job done right. Humility: Maintain humility by sharing credit for success wherever called for and always acknowledge the contribution of others. Lead by example and teach others with your actions and words. Initiative: Do not stay away from volunteering and putting forth your ideas when called for. People with positive work ethics are always appreciated. If an individual can project a positive work ethics, he or she can be assured of bagging the job that they are applying for and can also retain their position in an organisation. A positive work ethic is one where an individual is mindful of the synergy and harmony of colleagues around and is respectful towards others. Ethics at the work place is an amalgamation of all the positive aspects discussed in this article and practising them will pave the way for a stronger career as well as personal growth.